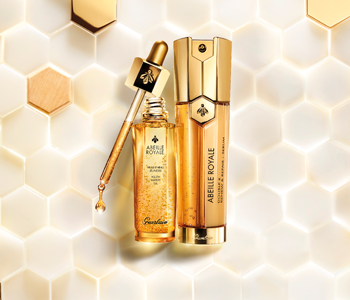 Reveal plump, smooth and hydrated skin with the wonderfully luxurious GUERLAIN Oil and Serum collection. Whatever your concern, take your pick from scientifically-crafted formulas that will strengthen the skin, restore tone and elasticity, visibly firm and provide intense nourishment with high performance results. Whether you’d like the power of a serum or the richness of an oil, you can count on GUERLAIN’s oils and serums to refresh and revive your skin.